Archaeologists in Israel have discovered the remains of a Byzantine church and road station just west of Jerusalem. The site is believed to be about 1500 years old. The announcement was made last by the Israeli Antiquaries Authority, after work was done during upgrading a highway between Jerusalem and Tel Aviv. The Byzantine church that was uncovered measures about 16 meters in length, and includes a side chapel 6.5 m long and 3.5 m wide and a white mosaic floor. A baptismal font (bapisterium) in the form of a four-leafed clover (symbolizing the cross) was installed in the chapel’s northeast corner. It is believed that church operated from the 5th to 7th centuries AD. 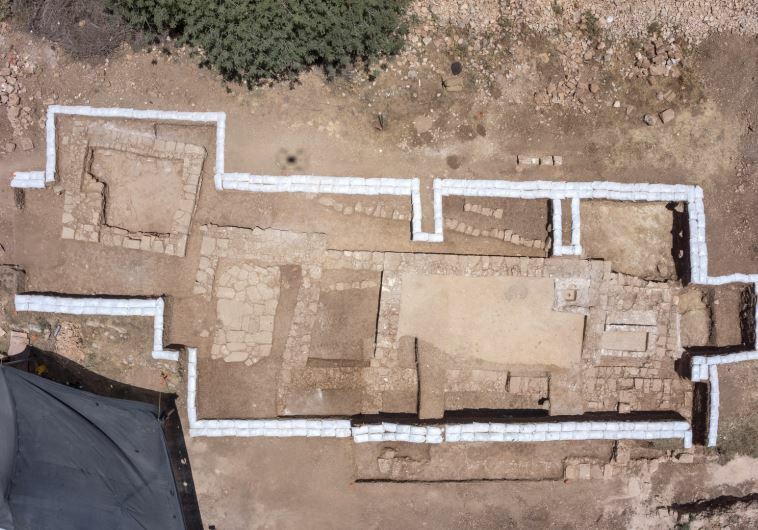 According to Annette Nagar, director of the excavation on behalf of the Israel Antiquities Authority, “The road station and its church were built in the Byzantine period beside the ancient road leading between Jerusalem and the coastal plain. Along this road, which was apparently already established in the Roman period, other settlements and road stations have previously been discovered that served those traveling the route in ancient times.